The Laju Laju vehicle and passenger ferry operates between Dili seaport and both Pante Macasssar, Oecusse and Beloi, Atauro. 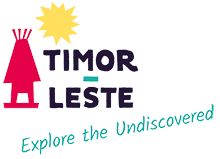 The service between Dili and Pante Macassar take 12 hours and departs Dili 3pm Tuesday and Friday and Pante Macassar the day following at 3am. On Thursday the ferry departs Dili for Atauro at 8am. It then departs Beloi at 3pm for the return trip. This crossing takes 3 hours each way.